If you live in the US and have yet to get your hands on a Nintendo Switch, Nintendo have a new Mario Tennis Aces Switch Bundle, that comes with a copy of Mario Tennis Aces, a Nintendo Switch and a copy of 1-2 Switch for good measure. The Mario Tennis Aces Switch Bundle is a Walmart exclusive and will cost $359. 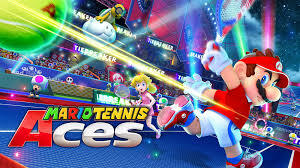 With so many other great games on the console, it seems a little odd why Nintendo decided to do a bundle with Mario Tennis Aces. Granted, it is Nintendo’s latest game to date but I don’t see it as a system seller. I guess only time will tell.